A belt decoration shaped like a heart dating back to the 10th century AD is among the latest finds from the renewed 2015 archaeological excavations at the medieval fortress Urvich near Bulgaria’s capital Sofia. The “heart” belt decoration is said to be typical of the medieval craftsmanship in Pliska, capital of the First Bulgarian Empire (632/680-1018 AD) between 680 and 893 AD. It has been shown to the media by archaeologists Nikolay Ovcharov and Filip Petrunov together with several other latest finds from the Urvich Fortress, which saw its greatest importance at the time of the Second Bulgarian Empire, and especially at the end of the 14th century AD when it was defending the then city of Sredets (Sofia) from the invasion of the Ottoman Turks. Another interesting recent discovery is an unfinished bronze ring still in its cast which is taken to mean that the medieval monastery that was part of the Bulgarian fortress Urvich, and later survived it, had jewelry workshops, reports the Bulgarian state news agency BTA. A Late Antiquity fragment from a marble vessel for Holy Communion found at Urvich has led the archaeologists to hypothesize that a Late Antiquity Christian temple may have existed there before the construction of the medieval monastery called St. Iliya (St. Elijah). The archaeologists have also just discovered several coins testifying to the life at the site of the Urvich Fortress throughout different time periods. 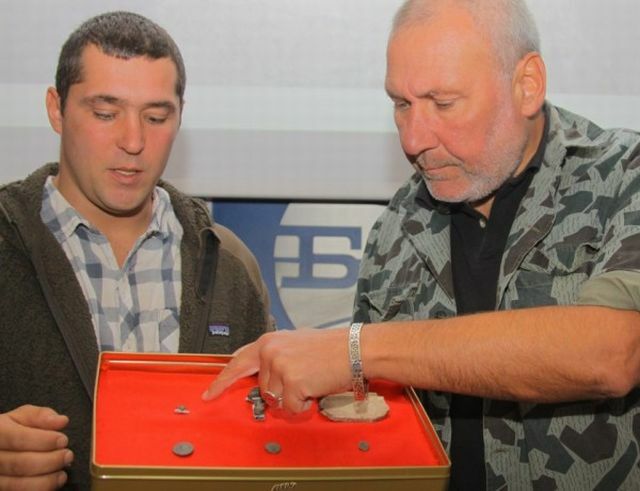 Thus, Ovcharov and Petrunov have shown to the media a coin from the Roman Empire known as an Antoninianus dating back to the 3rd century, a copper coin of Bulgarian Tsar Ivan Alexander (r. 1331-1371 AD), the last somewhat powerful head of the Second Bulgarian Empire (1185-1396 AD), and an akce, a silver Ottoman Turkish coin dated to the 17th-18th century AD. 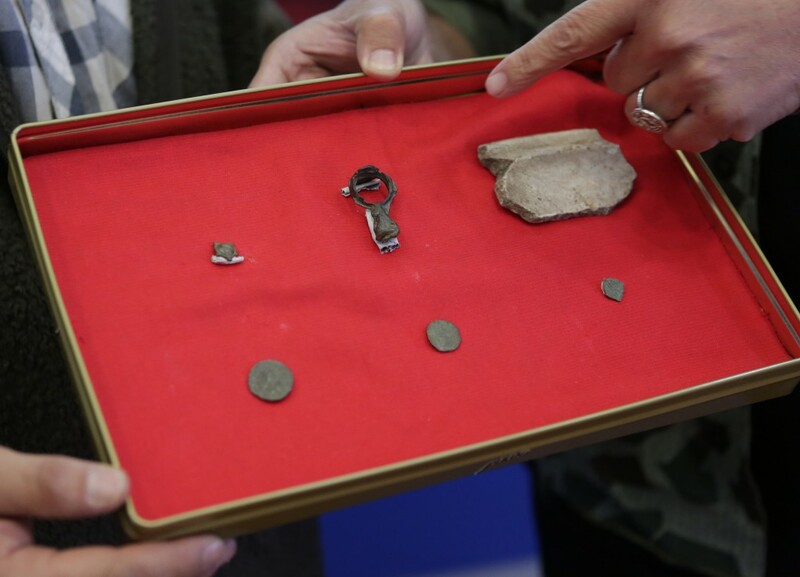 More than 300 archaeological artifacts which have been discovered during the excavations at Urvich in the past couple of years have already been made part of the collection of Bulgaria’s National Museum of History in Sofia. The second phase of the 2015 summer excavations of the Urvich Fortress has started at the end of the September, and is due to be completed by October 20, 2015. During that time, the archaeologists hope to excavate the last unexplored 15% of the territory of the medieval monastery St. Iliya. The St. Iliya Monastery is especially intriguing because it existed in the 15th-17th century, during the early period of the Ottoman Empire, after all of Bulgaria had ultimately been conquered by the Ottoman Turks in 1396-1422 AD. Elsewhere most of the wonderful and numerous medieval Bulgarian monasteries were destroyed by the Ottoman invaders or were turned into mosques. The site of the St. Iliya Monastery covers an area of 1.3 decares (app. 0.33 acres), and appears to have been inhabited long before the Late Middle Ages because it has yielded archaeological finds from the period between the 5th century BC and the 17th century AD. In the 17th century, the monastery surviving the Urvich Fortress, which itself was destroyed at the end of the 14th century, was burned down by the Ottoman Turks, during one of the wars between the Ottoman Empire and the Austrian Empire, whose forces often advanced into the Western Balkans during that period. “Unfortunately, the monastery perished at the end of the 17th century during one of the Austro-Turkish Wars when the Austrians reached Dragoman, almost reaching Sofia. They were repulsed, and went back, and the Turks ravaged all of Western Bulgaria, including the surviving monastery at Urvich,” Ovcharov explains. In addition to being located on strategic plateau in one of the gorges to the southeast of today’s Bulgarian capital Sofia known as Sredets in the Middle Ages, the Urvich Fortress is connected with legends about Tsar Ivan Shishman (r. 1371-1395 AD), the last Tsar of the so called Tarnovo Tsardom, one of the successor states of the Second Bulgarian Empire at the end of the 14th century. “Urvich used to be a fortress, a rather sizable medieval city with mighty fortifications that protected Sofia and the Sofia Valley, and in 1371 AD this is where the first major battle occurred between the forces of Tsar Ivan Shishman and the Ottoman Turks. The battle was a draw but the Turks did have to stop their advance for 7-8 years. Eventually, they took Sofia and Urvich. But for some reason, which we cannot explain yet, they allowed the Christian Bulgarians to restore the monastery in the ruins of the fortress from the old church St. Iliya. This is precisely the monastery that we have been researching, and we have seen it as a light for Christianity and for the Bulgarians in the darkest centuries of the Ottoman Yoke (i.e. the period of the Ottoman Yoke (1396-1878/1912) when Bulgaria was part of the Ottoman Empire),” says archaeologist Nikolay Ovcharov, as cited by the Focus news agency. The fact that the St. Iliya Monastery near Sofia survived on the spot of the Urvich Fortress after it was razed to the ground by the Ottomans is also mentioned by 18th century Bulgarian monk and scholar St. Paisiy Hilendarski (St. Paisius of Hilendar) who in 1762 AD authored the “Istoriya Slavyanobolgarskaya” – “Slavonic-Bulgarian History” – the book that, essentially, led to the Bulgarian National Revival in the 18th-19th century. “In his “History”, Paisiy writes the following interesting paragraph about [the Urvich Fortress]: “Tsar Ivan Shishman had a fortress with a monastery which was in the gorges of the Iskar River, and was very close to Sredets”. This was the information that we had at the beginning, and what we have now is an almost completely researched monastery,” Ovcharov notes. During their news conference for presenting the latest finds from the Urvich Fortress, archaeologists Nikolay Ovcharov and Filip Petrunov have pointed out that Sofia Mayor Yordanka Fandakova has supported the idea of making Urvich part of a large-scale route for cultural tourism including a high number of archaeological and historical sites around the Bulgarian capital. Ovcharov claims that it was at the site of the Urvich Fortress, and not the Cherni Vrah Mount in the nearby Vitosha Mountain that at the end of the 19th century Bulgarian writer Aleko Konstantinov gave the start of the organized tourism movement in the newly liberated Bulgaria (i.e. The Third Bulgarian Tsardom). “[The present excavations] are the finale of five years of work which we performed as part of the Culture Program of Sofia Municipality. All around Sofia there are marvelous monuments which just as good as Perperikon in the Rhodope Mountains, Missionis near Targovishte, or other sites in Bulgaria. However, they have been neglected because of the nice Ancient Roman ruins in downtown Sofia. That is what we decided to change 5 years ago together with Assoc. Prof. Boni Petrunova and Filip Petrunov. And we are at the last stage right now,” Ovcharov elaborates. He has mentioned that the most impressive discovery ever made at the site of the Urvich Fortress is the so called Urvich Treasure – a collection of gold and silver decorations and jewelry from the Late Middle Ages. Items from the Urvich Treasure were first shown to the Bulgarian public in 2011; it was rescued by an English history teacher, John Burnip, who bought it at an auction in London in 1979, and in 1983 donated it to the Bulgaria’s National Institute and Museum of Archaeology. It is known that the treasure had been dug up illegally at the Urvich Fortress near Sofia (it had been found hidden in a clay vessel), and had somehow been smuggled to the UK. The Urvich Treasure is dated to the 14th-17th century AD, and consists of silver and gold-coated wreathes, belt decorations, and head decorations used by the late medieval Bulgarian nobility for wedding rituals as well as two rings, a bracelet, and different necklace decorations. Both the Urvich Treasure and the existence of the St. Iliya Monastery in the 15th-17th century on the location of the destroyed fortress are seen as evidence by Bulgarian archaeologists Nikolay Ovcharov and Boni Petrunova that not all members of the Bulgarian nobility were slaughtered by the Ottoman Turks during their conquest of Bulgaria at the end of the 14th century, and that the Bulgarian population in the region of today’s Sofia may have enjoyed a special status in the first centuries of the period of the Ottoman Yoke. The fortress of Urvich is located some 20 km southeast of Bulgaria’s capital Sofia. The medieval fortress there was built in the 9th-10th century by the First Bulgarian Empire, possibly as early as the reign of Khan (or kanas) Krum (r. 803-814 AD) who first conquered Sofia for Bulgaria in 805 AD, and was lated developed during the reign of Tsar Ivan Asen II (r. 1218-1241 AD). It was first excavated in 1969 by Prof. Dimitar Ovcharov, father of Prof. Nikolay Ovcharov. Prof. Nikolay Ovcharov has resumed the excavations there in recent years. The Urvich archaeological site bears marks from different time periods – from the Roman Empire in the late Antiquity, Byzantium, the First Bulgarian Empire (680-1018 AD) and the Second Bulgarian Empire (1185-1396 AD) to the Ottoman Empire. In Bulgarian culture and national memory it is mostly known as a site of heroic resistance against the Ottoman Turkish invaders in the second half of the 14th century by some of the last state leaders of medieval Bulgaria, defending the strategically vital city of Sredets (today’s Sofia). As the Second Bulgarian Empire was being conquered by the Ottoman Empire in the late 14th century (Sofia was conquered in 1385 AD), the Urvich fortress was set on fire but was later rebuilt and used by the Ottoman Turkish invaders; the local monastery was also restored. The archaeological excavations at Urvich have unearthed murals from the St. Iliya (St. Elijah) Church and St. Iliya Monastery, and some of the frescoes have been shown to the public. It has also been emphasized that there is information about the monastery at Urvich in the first History of Bulgaria, the Slavic-Bulgarian History, compiled by the Bulgarian monk Paisiy Hilendarski in 1762 AD, which was the book that essentially laid the foundations of the modern-day Bulgarian nation leading to the so called period of Bulgarian National Revival (late 18th-19th century). There is evidence that the St. Iliya Church at the Urvich Monastery was restored in the 15-17th century. Back in 2011, Prof. Nikolay Ovcharov unveiled 18 gold coins found at Urvich which were minted by medieval Bulgarian Tsar Ivan Alexander (r. 1331-1371). They are believed to have been part of a legendary medieval Bulgarian treasure – “treasure of the Shishman Dynasty”, which ruled Bulgaria from the ascension of Tsar Ivan Alexander to the throne in 1331 AD to the demise of his sons – Tsar Ivan Shishman (r. 1371-1395) and Tsar Ivan Sratsimir (r. 1371-1396) in the hands of the Ottoman Turks. It is believed that sometime in 1371-1372 AD the last Tsar of Bulgaria Proper, Ivan Shishman, buried his treasure at the fortress of Urvich where his forces made a stand against the invading Ottoman Turkish forces fighting fierce battles during the 1370s and 1380s. 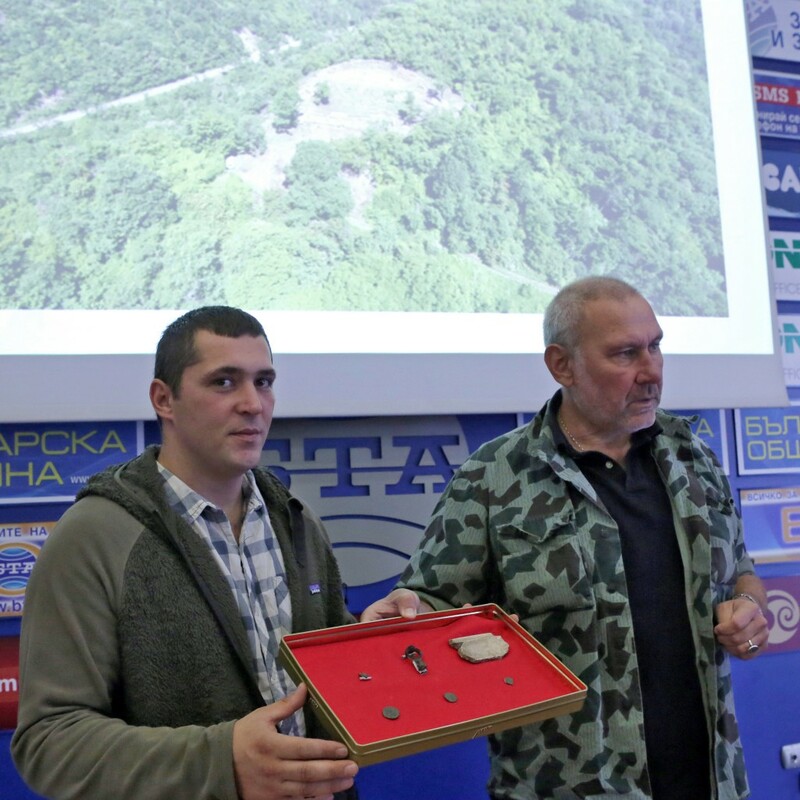 The archaeologists believe that Tsar Ivan Shishman’s treasure really existed but that most of it has been snatched by treasure-hunters and that the 18 gold coins found at Urvich are everything that is left of it.